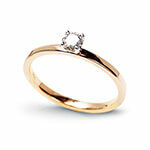 1 Diamond , round cut, weight 0,25 ct., colour G, clarity SI1. 1 Diamond , round cut, weight 0,15 ct., colour G, clarity SI1. 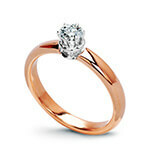 1 Diamond , round cut, weight 0,20 ct., colour G, clarity SI1. 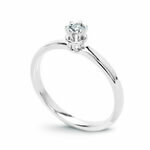 42 Diamonds , round cut, weight 0,26 ct., colour H-J, clarity SI2-I1. Staviori is primarily the first-class investment jewellery created with Italian passion and perfection. We invite you to take a look at our offer.